Hi friends and followers! Today I’m so excited to share with you something that I eat almost every day. Filled with fiber, protein, vitamins and minerals my go-to lunch is filling, satisfying, healthy and DELCIOUS! 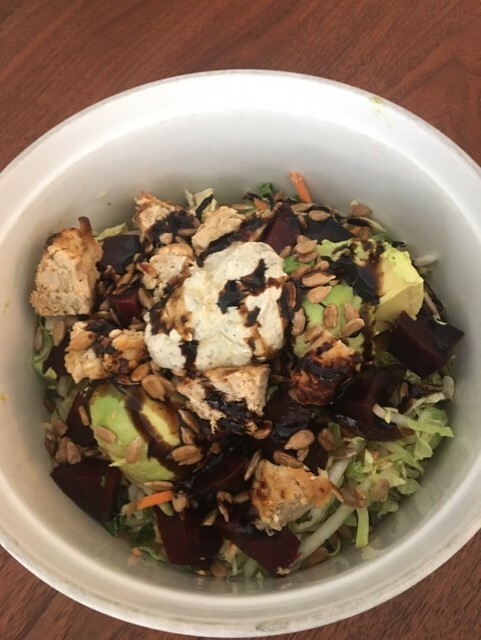 Five days a week, whether I’m eating at home or taking food in a container on the go, my lunch is, and will always be, a Supersized Salad. Now, I know what you’re thinking. Salad, every single day. BORING. Wrong! Today, I’m going to walk you through how with little preparation, a few good leftovers and some staples in my kitchen, how my supersized salad lunch is always satisfying and never the same. Before I take you inside my pantry/refrigerator to share my salad secrets, I wanted to point out one thing that I tell my clients all the time. Eating healthy does not have to be hard, time consuming or expensive. We all find ourselves at the market at least once a week anyway, I promise you that if you stock up on my salad essentials and have them easily accessible in your fridge each day, you will make better/healthier choices during the week. Reaching for a salad in your fridge will be just as easy as reaching for a cold piece of pizza and will taste better. I promise! Let’s start with our foundation first, the lettuce. There are SO many good salad kits on the market now. Some contain simply mixed greens, others have shaved Brussel Sprouts and even sunflower seeds. My current favorite is one by Mann’s. It’s a great combination of sprouts and lettuce, kale, carrots and shaved Brussel Sprouts. It’s store bought and the perfect crunchy start to any Supersized Salad. Another brand that I use all the time is by Glory Foods and it’s called Power Essence. Both are excellent options but there are lots. Check out the kits in your local supermarket and pick the one that appeals most to you. 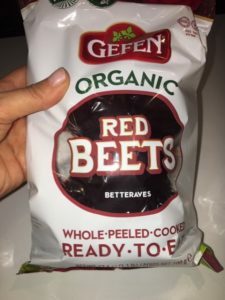 Beets: Beets really add bulk to any salad without adding unwanted calories. They are a great source of fiber, folate and vitamin C and contain nitrates and pigments which may help lower blood pressure. 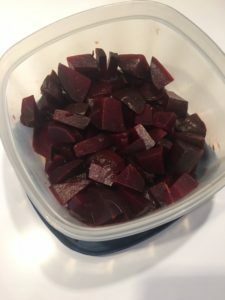 I like to buy vacuumed packed beets in bulk, chop them up, add a little vinegar and keep them in a ready-made container right next to my lettuce kit for easy access. Sunflower Seeds: Sunflower seeds are one of my favorite additions to any salad. You can roast them in the oven on a baking sheet for some added flavor or buy them in a bag ready to go and sprinkle them throughout. Sunflower seeds are a great addition to any supersized salad because they are rich in the B complex vitamins, which are essential for a healthy nervous system, they are filled with essential vitamins and minerals and add a great texture to any simple salad. 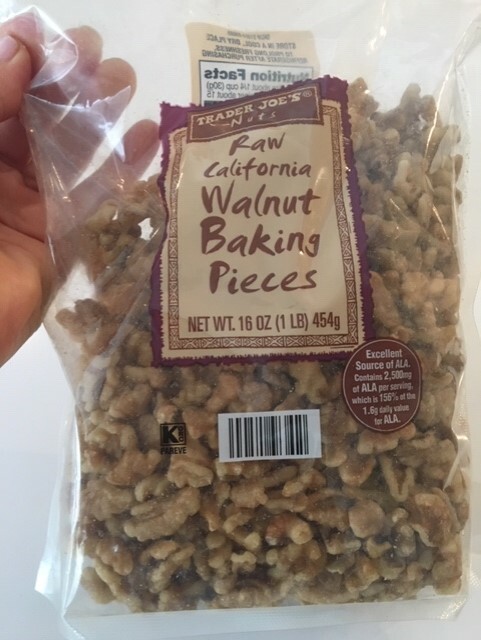 Walnuts: Walnuts are a great addition to any salad. 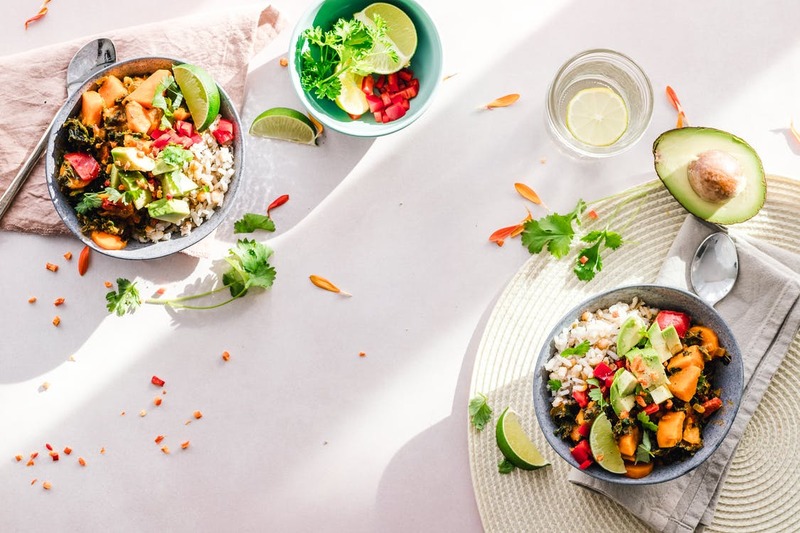 They are a great source of “good fat”, and an excellent source of protein and fiber therefore adding walnuts to your supersized salad will allow you to feel fuller longer. Artichoke Hearts: If you’ve been following me here for a while now you know that I am a huge believer that fiber is one of the most essential components to every meal. Artichoke hearts are an amazing source of fiber which helps to keep you “regular”, detoxed and fuller longer. 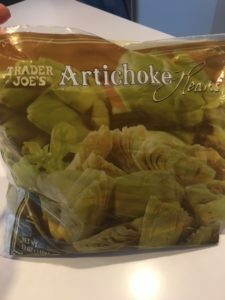 I buy frozen bagged artichokes from Trader Joe’s. I bring them home, defrost them and always have them in the refrigerator and on hand for my salads. Easy, delicious, filling and full of fiber! Edamame: I do the same with store bought frozen edamame as I do with my artichoke hearts. Also rich in fiber and antioxidants, edamame is a good source of protein, an essential addition to any salad. Plain Rotisserie Chicken: You will probably never open my fridge and not see one of these inside. I hit Fairway once or twice a week for a plain rotisserie chicken and pick it apart all week to add to my salads. 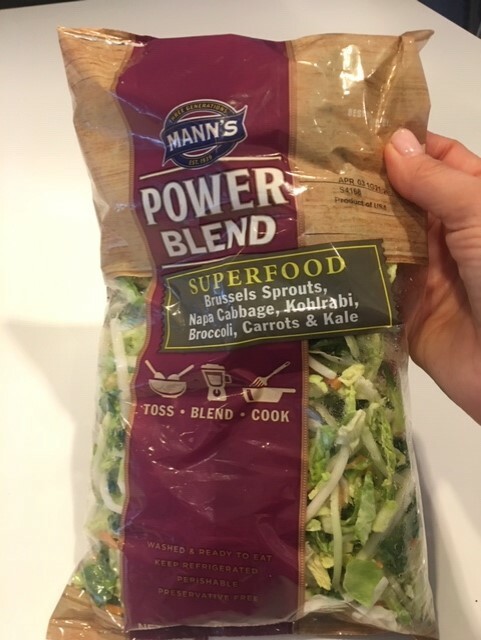 It adds lean protein, very little fat and so much flavor to any salad! Roasted Vegetables: I usually buy what’s on sale; zucchini, eggplant, peppers…..I roast them as a side dish for dinner and use them as an addition to my salads for lunch. Ratatouille: This is one of my family’s favorite meals anyways and really kicks up the flavor on my salads the next day. My homemade turkey burgers: My family loves my turkey burger recipe. It’s so flavorful, healthy and delicious. I’ve shared it on the blog with all of you before here. These couldn’t be easier to add on top of my salads and they provide me with the protein I need to get through the day. My homemade yogurt/dill dip: Remember a few weeks ago when I shared the recipe for my favorite olive oil/tahini/dill/yogurt dip here. This makes a delicious leftover ingredient to add to my salads. Healthy leftovers make wonderful addtions to any supersalad. They assure that you’re not eating the very same boring salad every day, they provide added nutrtional benefits and sustinance to keep you satiated all day and the possibilites are endless.All of the above ingredients that I use to put together my daily Supersized salad require very little time and effort but have the ability to help you yield big results. This past week, I took some pictures of my salads throughout the week. I wanted to show you how delicious and beautiful and not BORING eating a salad every day can be. Before I leave you with those photos, I wanted to touch on one last thing. Salad dressing…this is important. I never, ever, use a dressing that comes with a salad kit nor do I use the store bought options you find lined up on grocery store shelves. These dressing will sabotage your salad. Every Sunday night I make my own salad dressing by combining equal parts of EVOO, Vinegar (you can use balsamic, red wine, apple cider), some fresh ground pepper and a tiny squeeze of Dijon mustard. I shake it all together and leave it in a container right beside all my salad fixings. If that’s not something you have time to prepare, make sure you always have some EVOO and vinegar on hand and simply sprinkle some on top of your salad each day. Delicious, easy and healthy. 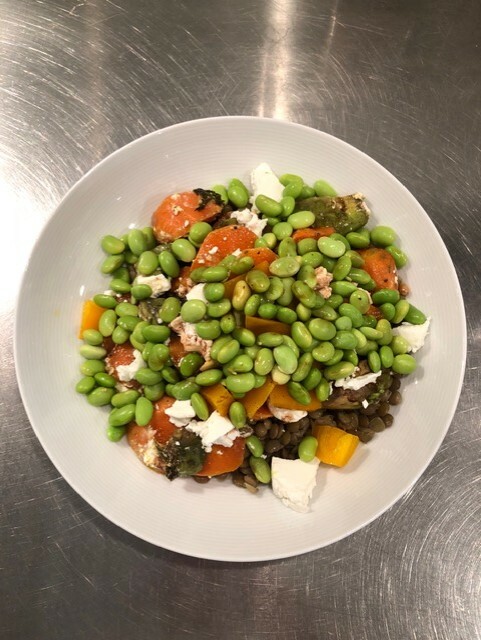 Edamame, roasted carrots, lentils and more! 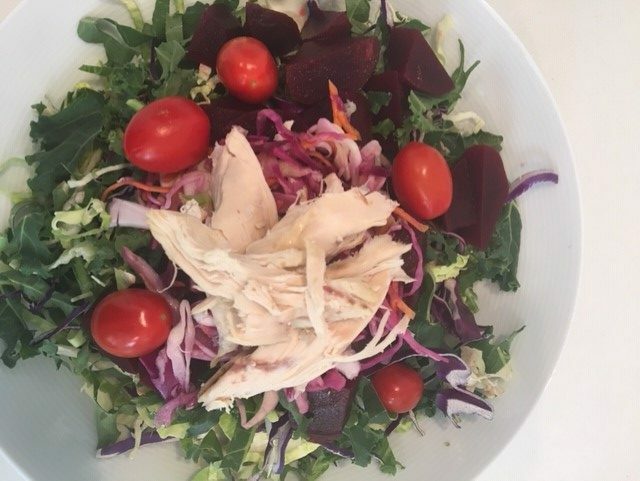 Rotisserie Chicken, mixed greens, beets, cabbage and more! Homemade dill yogurt dip, avocado, beets, sunflower seeds and more! 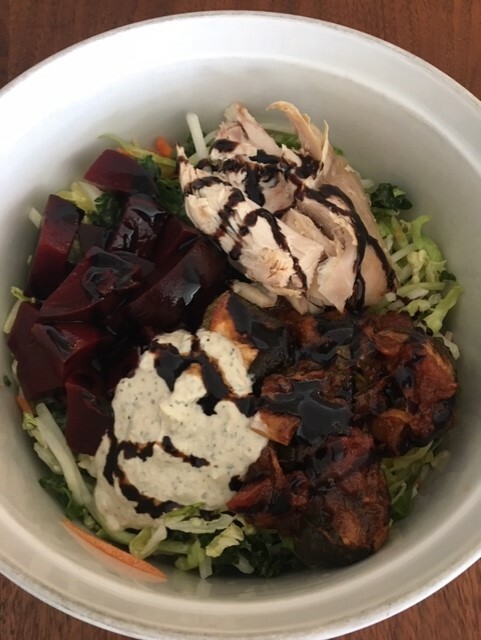 Roasted vegetables, Mann’s salad mix, roasted chicken, beets, homemade yogurt dip and more! 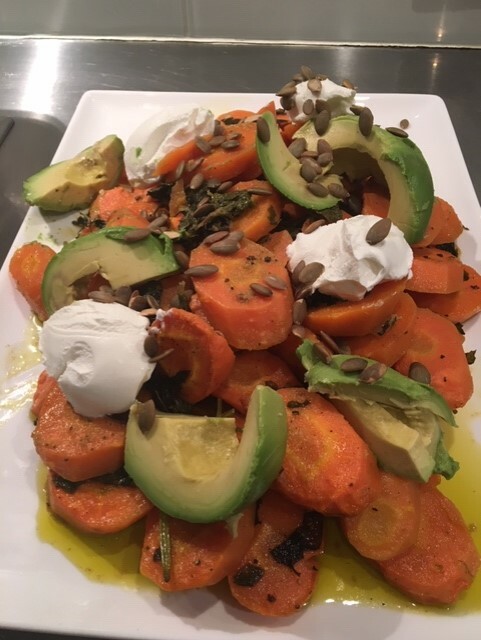 Roasted carrots, sunflower seeds, avocado and more!